I'm sure you have all heard the far too popular Miley Cyrus song "We Can't Stop." There is a line where she says, "It's my mouth and I'll say what I want to." This attitude of "It's my life, I'll do what I want" seems to be at an overwhelming high. 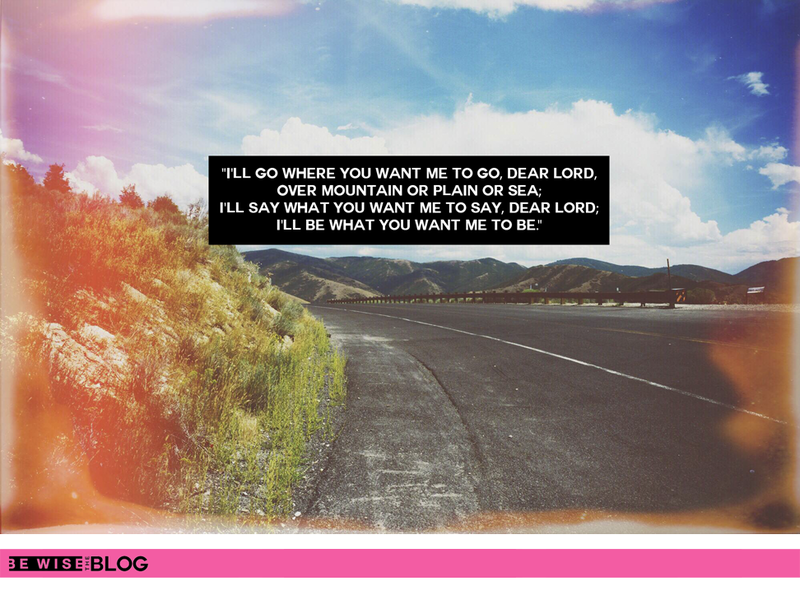 Now, contrast that statement with the chorus from the Hymn "I'll Go Where You Want Me To Go." I'll be what you want me to be." The world is doing all that it can to steer us away from the path back to our Heavenly Father. Even subliminally through a Miley Cyrus song. It's catchy, it's trendy and it gets stuck in your head resounding the thought over and over that this is your life, say and do what you want to. While yes, this is your life and the whole purpose of this life was to come and make our own choices through the gift of agency, the goal is to make it back safely to the presence of our Heavenly Father. I can't think of any safer way to get through this life than by saying, doing and being who our loving Father in Heaven wants us to be. He is all knowing. He loves us each individually and will never lead us astray. His way is not always the easy or "trendy" way, but it is ALWAYS the right way.